We do not specify which type of collar or piece of clothing will fit to a certain breed of dog. 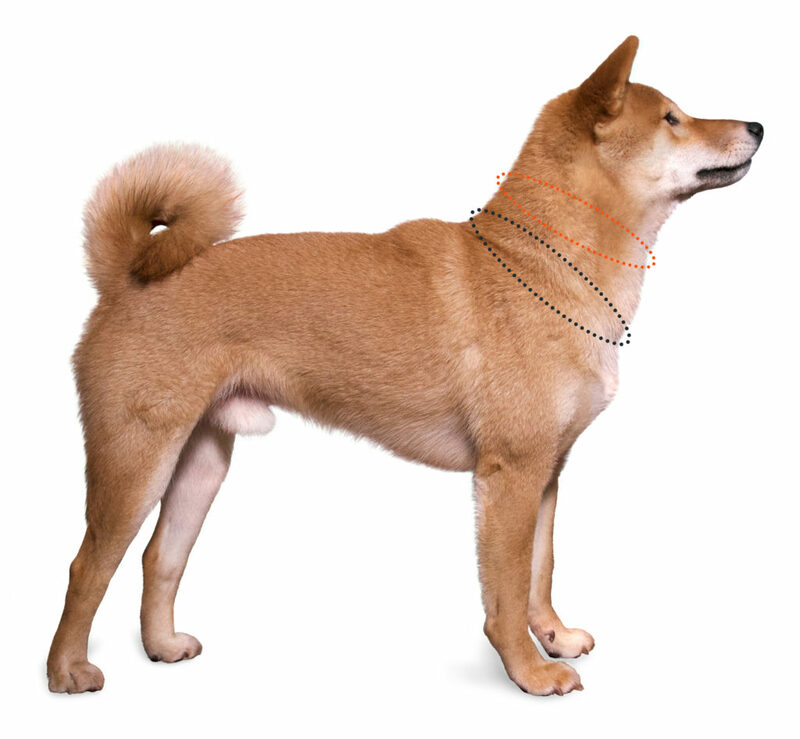 Even standard Shiba Inu dogs can be well-fed, athletic or skinny. It’s better if you take measurements of your dog yourself and select the suitable size. It is easy! ATTENTION! DO NOT take measurements when the dog is lying or sitting! So, let’s get it started! How to determine the correct size of a dog collar? The neck size should be measured in the place where the collar is worn – in the central part of the neck. 1. Use a tailor’s gauge to measure dog’s neck. Use centimeters as measuring unit. 2. Hold the gauge loosely, don’t tighten it. Make sure you can comfortable fit two fingers between the dog’s neck and the gauge. 3. Make sure the size of your dog’s neck fits between the values X and Y of the collar you chose. ATTENTION! For a choker collar the dog’s neck size should be measured in the lower part (at the base of the neck). How to determine the correct size of a dog harness? 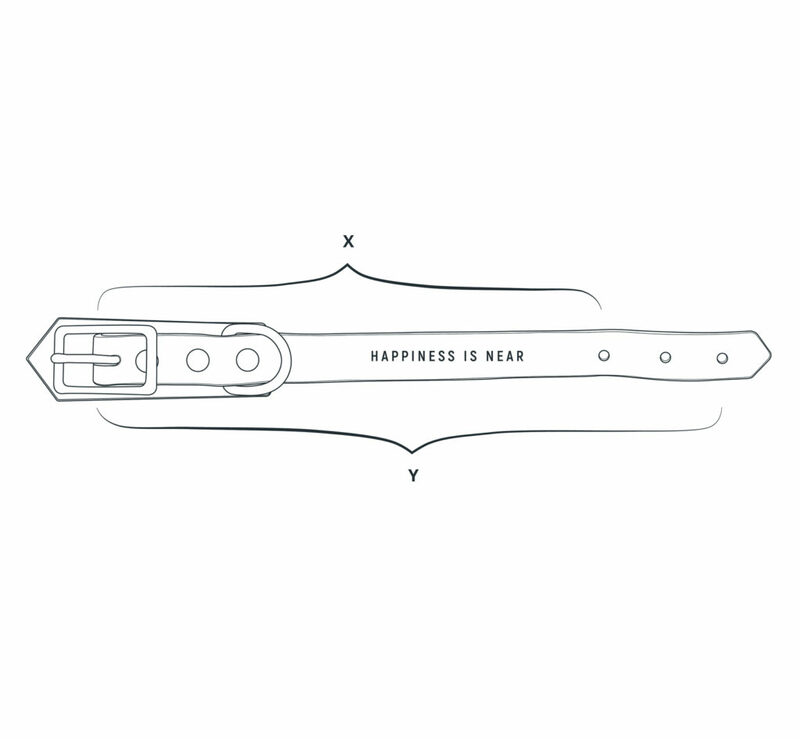 Use a tailor’s gauge to measure. Use centimeters as measuring unit. 1. AB Neck. Measure around the neck in the lower part (at the base of the neck). 2. CD Chest girth. The girth is behind the front legs, over the back, under the dog and back to the starting point. 3. DA The size from the withers to the end of the upper middle strap. 4. BC The size from the keel to the back of the front paws. Yes, we can make any of our product specially for your dog. Production time is up to 7 business days.